Starting in 1986, the partnership between a white English-speaking South African, David Kramer, and a “Coloured” Afrikaans-speaker, Taliep Petersen, produced some of South Africa’s most commercially successful musicals to date. During Apartheid, artistic collaboration between members of different race groups was politically significant. 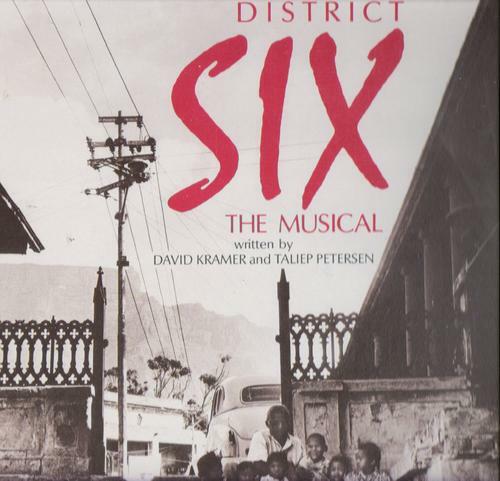 Their first project, District Six: The Musical, dealt with the forced removal of certain population groups from this neighbourhood following its designation as a white area. This production, which was understandably problematic to the Apartheid-government, played to over 350 000 people in its initial three-year run, at times drawing together mixed-race audiences. Its controversial reception is reflected in the banning of four of its tracks by the South African Broadcasting Corporation (SABC). Set in a local context, the music of this production perhaps surprisingly reflects an overriding engagement with American popular music. This paper explores notions of musical “authenticity” in a country marked by contested race identities and investigates the role of District Six: The Musical as protest theatre aimed at bridging racial divides through the facilitation of “collective” experiences revolving around remembrance of and identification with marginalized narratives. The paper explores the Kamer-Petersen collaboration District Six The Musical through a Heideggerian lens. Paula’s presentation opens with a historical overview of the genuine and perceived history of District Six itself (partly perceived as a ‘place without apartheid’). The first two musical examples are Ghoemaliedjie “Daar kom die Alibama” and Nederlandsliedjie “Rosa”. In 1966 District Six was designated a whites-only area, displacing c.55,000 people. It was never resettled, and a contemporary 2013 photo shows it, as Paula describes it, as a ‘scar on the landscape’. She then discusses the collaboration – Kramer drew mainly on Petersen’s first-hand experience of D6, writing lyrics for Petersen to set to music – reflecting on the different and partly opposing cultural backgrounds of the two collaborators. Petersen was described by Kramer as being ‘ambivalent’ about the traditional music of D6, because he [Petersen] was more interested in other non-SA musics, which be may have perceived as being more ‘sophisticated’. The next section discusses the political/government response to the political content of D6TM, showing a chilling slide of the soundtrack album cover, with ‘AVOID’ stickers next to the titles of the politically contentious tracks. We then analyse the lyric (and a performance) of ‘Galiema’, paying particular attention to the chorus. It is possible the D6TM’s strongest political contribution was not one of protest but one of inter-community collaboration. It was without historical precedent and therefore it interested white audiences. According to Kramer, D6TM ‘humanised the coloured people’. Paula discusses a Heideggerian perspective on the idea of ‘dwelling’ and uses this to contextualise the bulldozing of D6, suggesting that it was the community, rather than the physical land, that was cultivated. She concludes by defining D6TM as a success, and an example of inter-racial co-operation in the turbulent 1980s. In this way, D6TM stimulated dialogue and arguably, in Heideggerian terms, built a bridge. This view is balanced by citing other scholars who suggest that the history of D6 has become sentimentalised. Paula describes a ‘double layer of shame’ – of apartheid itself, and of having participated in the claiming of a slum as home in the context of the politics of nostalgia. Pleasingly [for me as a music person] she cites the criticism of the American (musical) influences in D6TM as being inauthentic – contemporaneous critics stating that SA music should ‘not sound like this’. But, as she describes, Cape Town music itself has always taken on many musical influences, including Dutch, Anglo American and of course ‘indigenous’ musics. There is, here, an additional ‘layer of shame’ relating to musical inauthenticity from some, but an alternative view that some ‘shame’ had accrued in the music for not sounding Angle-American enough. Just as “the bridge lets the stream run its course”, Kramer-Petersen’s own bridge achieved this Heideggerian ideal by revealing, rather than negating, the culture of its subjects and subject matter.